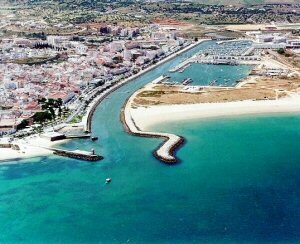 Multi-million euro deal to change face of Lagos, Algarve 5.0 out of 5 based on 2 votes. Lagos Mayor Júlio Barroso said he hopes the agreement will be “fruitful.” Lagos Town Hall said that the agreement is a “bonus” for the municipality, particularly given the current regional, national and international economic scenario. The signing ceremony took place in the Town Hall’s auditorium in the presence of SONAE Group President Belmiro de Azevedo. Several council executives were also at the meeting, as well as parish mayors, guests and the heads of SONAE’s various companies. It seals the group’s intentions to invest heavily in Lagos and establishes various operations to be carried out in and around Lagos that are relevant to the city’s interests, particularly regarding the definition of the project for the Crotália Towers and the Baluarte land. Júlio Barroso said that the signing was a moment “of great importance and, overall, of hope to our municipality. As an example he underlined how Property Transfer Tax (IMT) has dropped nationally by 20 percent, but has plummeted by 75 percent within the Algarve. Within the paperwork the two parties agreed on the methods, deadlines and urban parameters with which the projects are to be carried out. One of the main projects featured on the document is the completion of the Crotália Towers development, near Ponta da Piedade. Mayor Barroso described the development as a project that has been “dragging on” for many years, with advances and setbacks on both sides of negotiations, but which has now come to an end with a view to building tourist accommodation. A five-year deadline has been established within the protocol for the conclusion of the project, though both parties admitted this could change. The protocol also covers the expansion of Lagos’s existing Continente supermarkets as well as a €120,000 landscaping project for Terreno de Baluarte.